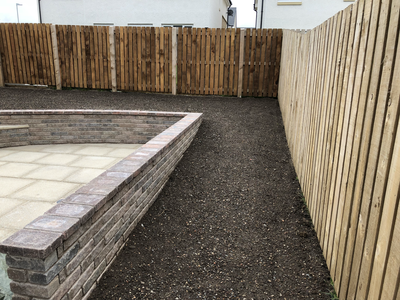 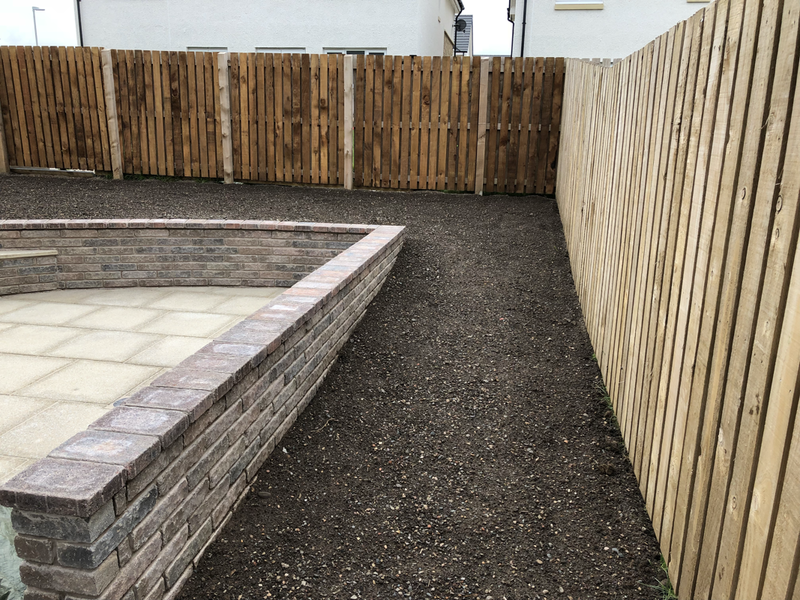 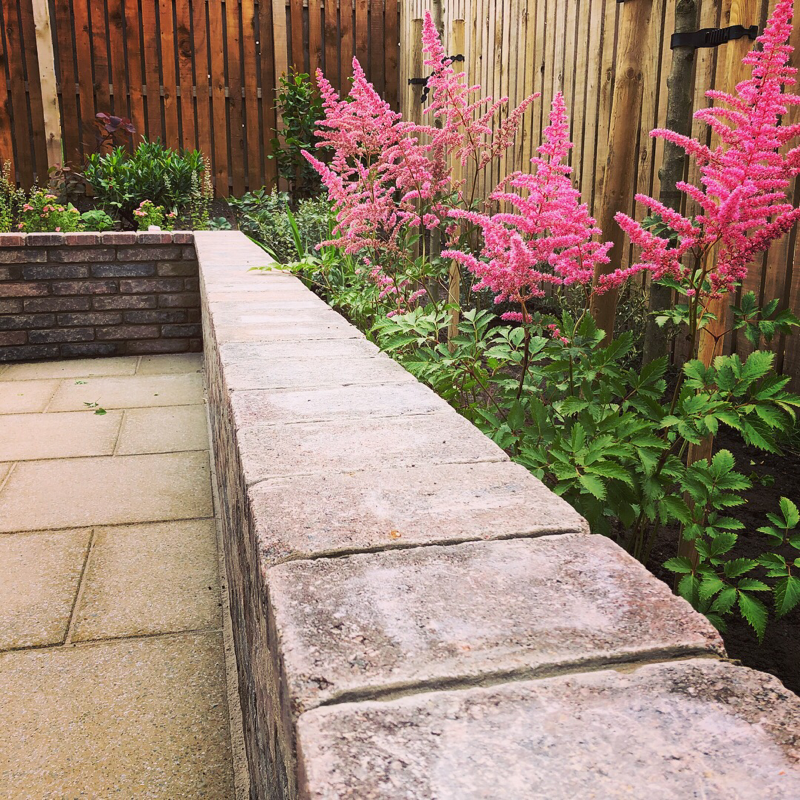 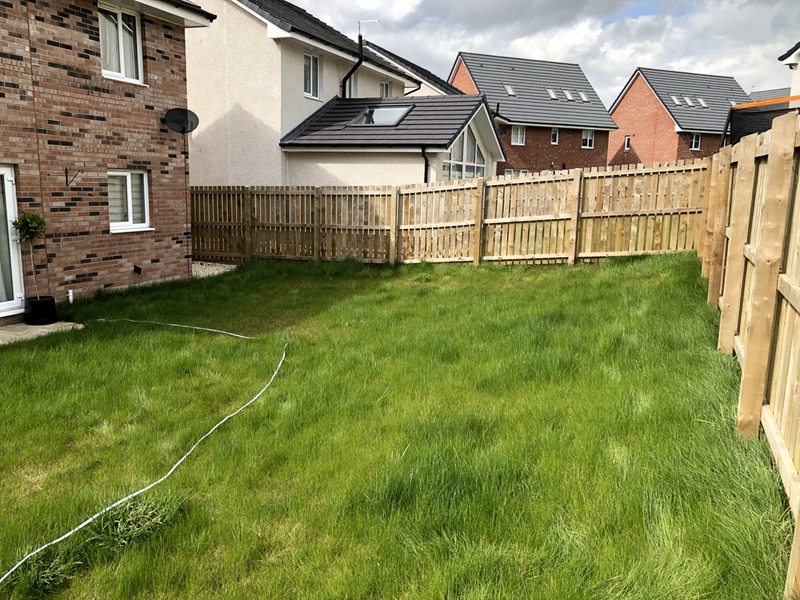 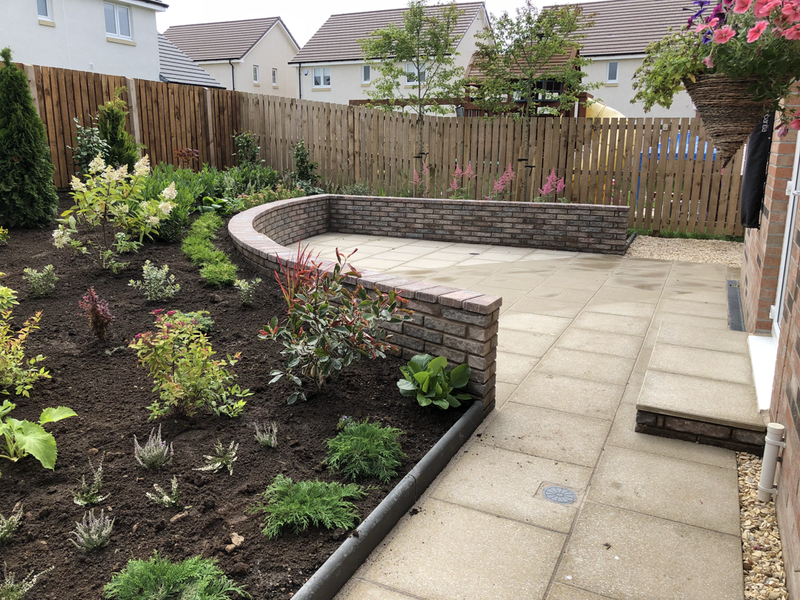 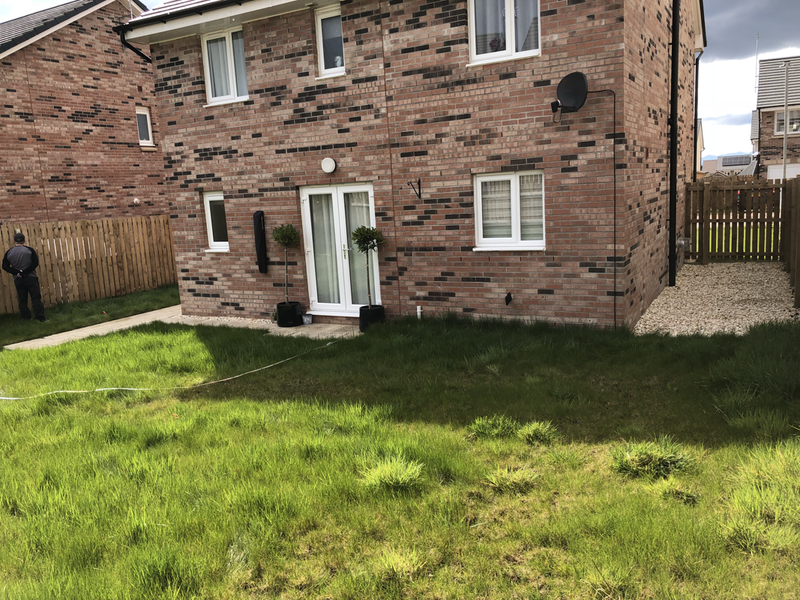 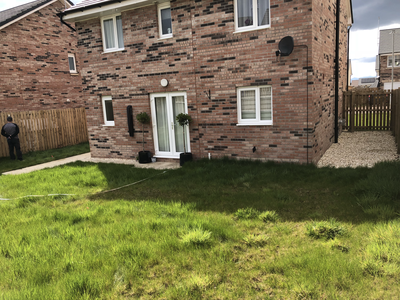 This back garden in a new development in Troon has a level change of 750mm from the back fence running towards the house. 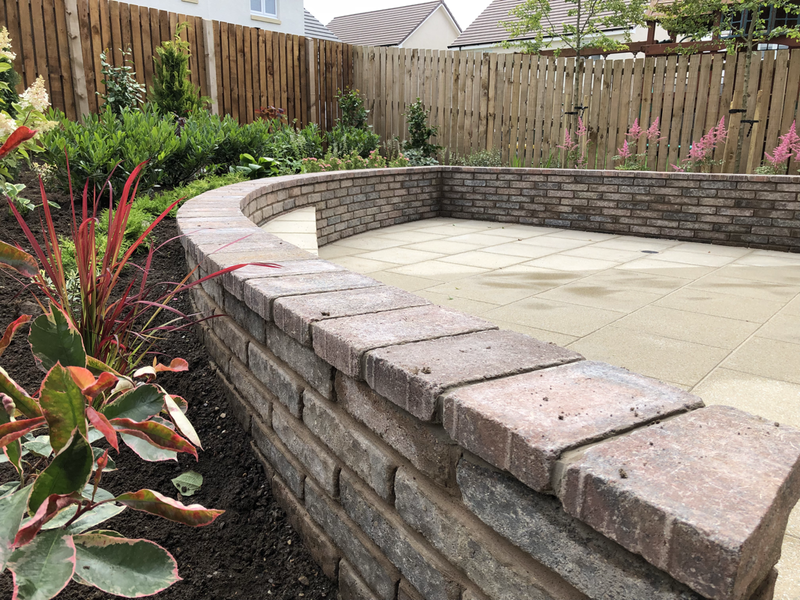 The back faces north so it was important to create a usable space which would enable my clients to enjoy the sunshine at different times of the day. My design carved out a patio into the sloping lawn. 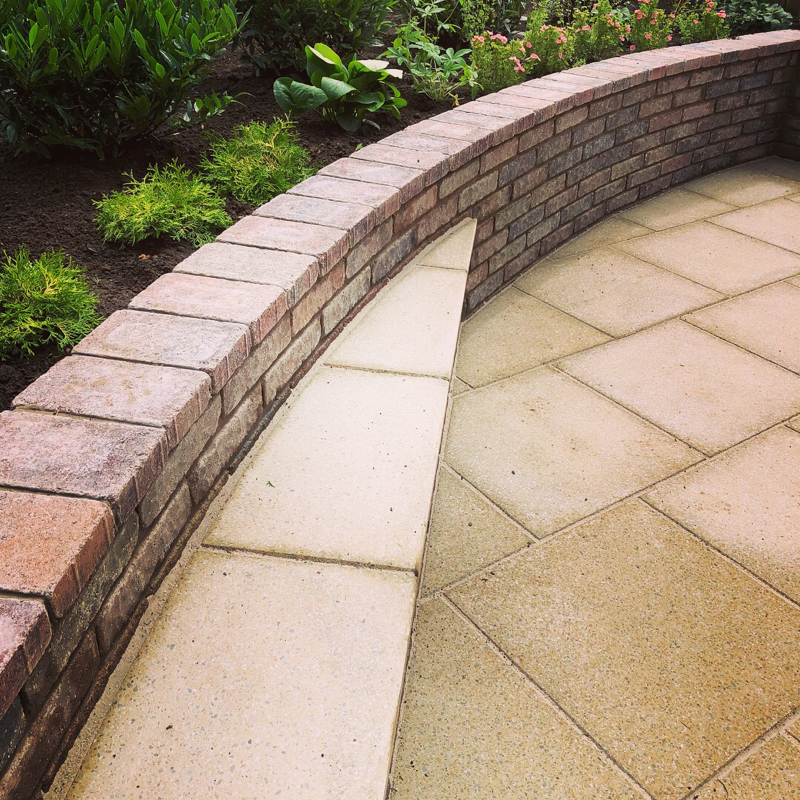 Retaining walls with drainage channels behind. 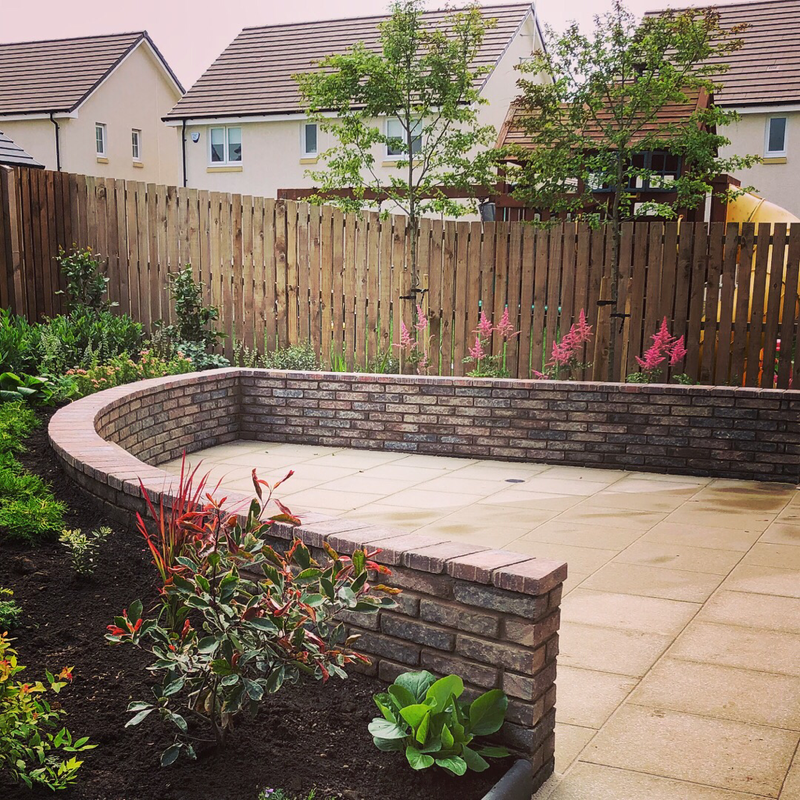 Built in bench for morning sun and an area for table and chairs for later sunshine. 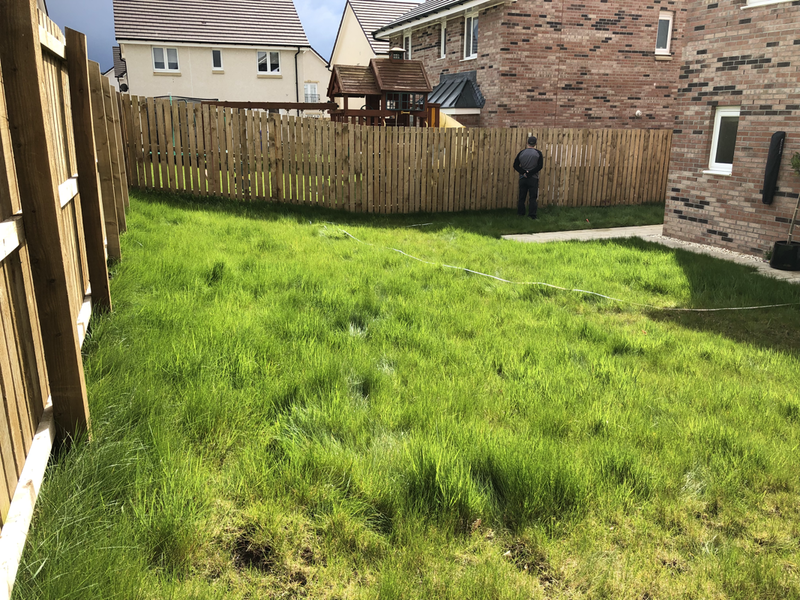 Appropriate screening was required as there is a large play structure next door. 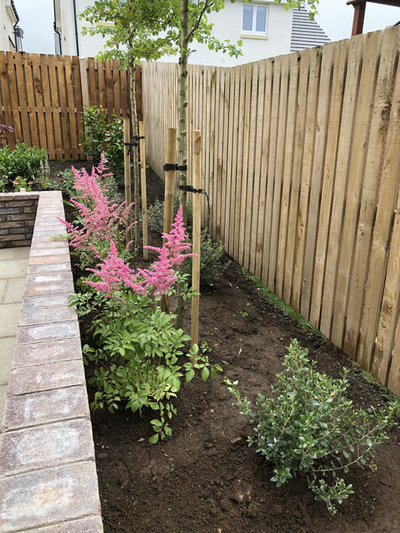 This was provided by two pleached Hawthorns. 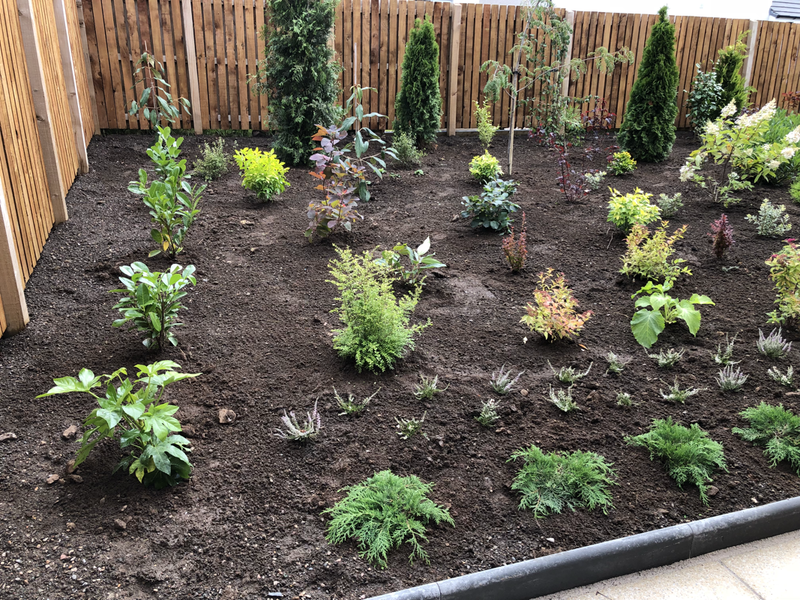 Planting throughout the rest of the garden includes evergreen and deciduous shrubs as well as some herbaceous perennials.